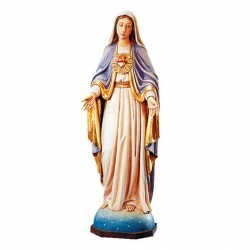 Immaculate Heart of Mary's wooden statue, handmade in Italy. 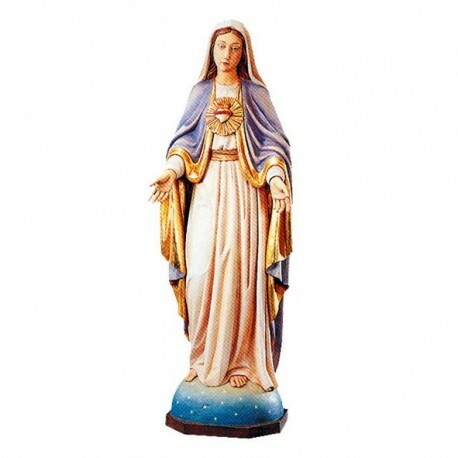 Wooden statue of the Immaculate Heart of Mary, handmade in Italy. Available in various dimensions. 20 CM. 30 CM. 60 CM. 80 CM. 100 CM. 120 CM. 150 CM. 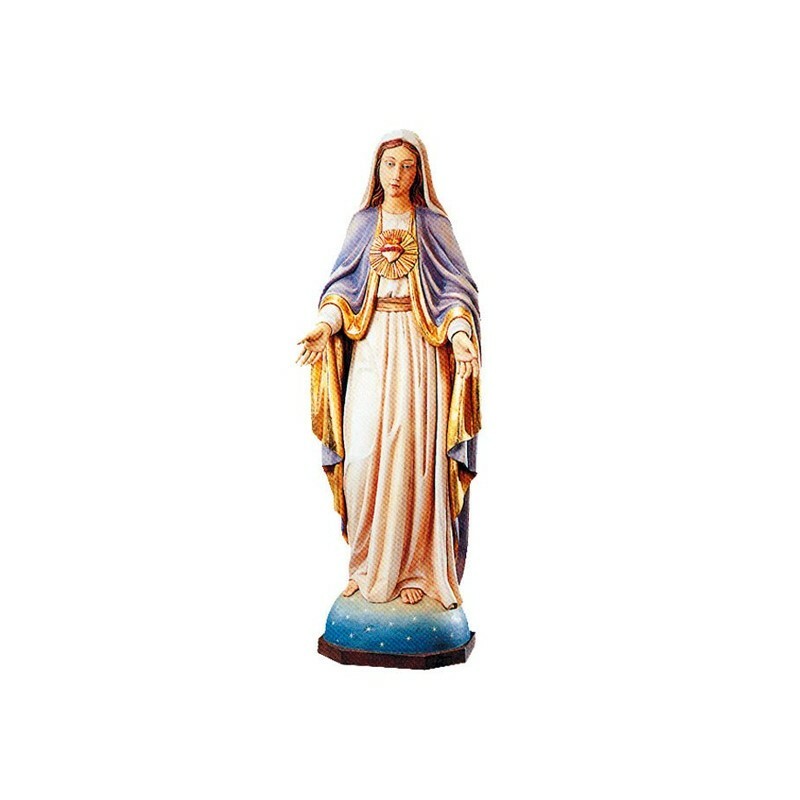 Wooden statue of the Immaculate Heart of Mary, sculpted in lime wood, handpainted with oil colors, to show the vain and the brightness of the sculpted wood. Available in various dimensions.